Writing comics, genre fiction, television, and film would seem to share various tools and tropes. They reward episodic, open-ended narratives in which as many problems and questions are created as mysteries are solved. They reward the creation of memorable characters and visuals, but allow for somewhat repetitive plots. Indeed, as sequential art forms, comics and films can be seen as something of mutually generative engines, although there's more money to be had in movie-making than comic publishing. In 2012, the total U.S. comic book and trade-paperback sales was nearly $370 million. The worldwide gross for a single blockbuster superhero movie, "The Avengers" (2012), was four times that. No wonder comic-book publishers seem to constantly mine their existing intellectual properties, which can then be sold and resold as action figures and movies and T-shirts and other stuff. Comic books are still relevant, but they're not necessarily the biggest show in town. The publishers of comic books have changed with the times. The only problem is, the times they are a'changing still. Single-issue stories—so-called "one and done"—are more rare than they were in the 1980s. When spinner-rack consumers couldn't count on buying sequential issues, comics were more likely to deliver a complete story in a single issue. Occasionally, publishers will still present "one-shot" issues, which relate complete narratives. 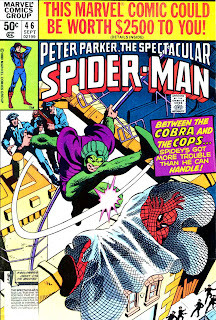 Larger "annual" issues may deliver twice the pages of a monthly comic, but at premium prices. 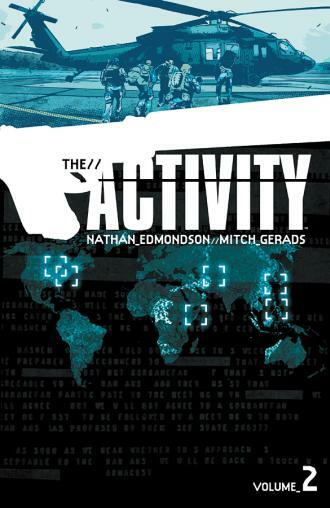 Ongoing narrative arcs now comprise 6- or 12-issue chunks, so that they can be easily repackaged and published as trade paperbacks (often abbreviated "T.P.B."). 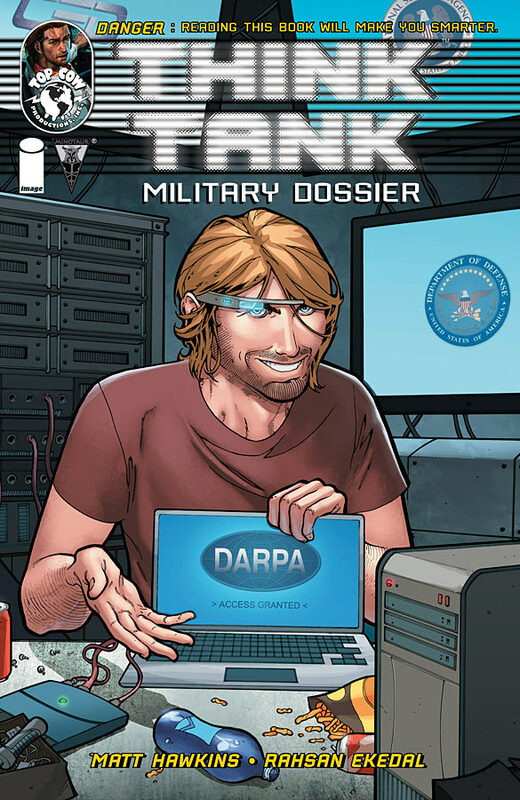 It can be confusing, trying to figure out whether and when to "jump on" to an ongoing narrative in the floppies, or to wait 6 or 12 months for the trade paperback. Assuming they are connected to an existing character or set of characters, Original Graphic Novels (O.G.N.) tell stories that take place outside of an ongoing narrative. Comic-book publishers are as confused and concerned about digital publishing as the producers of newspapers, magazines, and greeting cards. They're shackled to stagnated publishing model: kill trees, print comics, distribute via specialty brick-and-mortar shops. At the same time, however, the comic-book shop is where the magic happens, where communities of consumers congregate, where browsing and buying pay-off in sharing new stories and characters. Lose the comic-book shop, and publishers will lose the war. And consumers will lose out altogether. Still, I have to wonder: How much of my love of comic books is rooted in nostalgia? How much is driven by the physical acts of consumption—collecting, collating, culling, and cataloging a library of materials—rather than the intellectual pleasures of a good story, well-told? If it was just about reading words and looking at pictures, you'd think that an e-reader solution would be the way to go. Pages would never get bent, every issue would in mint-condition, and whole back-catalogs would be accessible (and marketable!) at the touch of a button. What would the world look like, however, if comic books were no longer in print? It sounds ... practically apocalyptic. My self-study course in All Things Comic Books has included some comics-related podcasts, including the 2010-to-present libraries of "Comic Geek Speak," "iFanboy," and "House to Astonish." I've also been visiting comic book stores, both locally and during my travels, in an attempt to observe what makes this business tick. I feel like I've learned a new language, one based on a similar dialect I once spoke in my youth, but not the same. I used to buy comics at a 7-Eleven convenience store a few miles' bike ride from my house. The route was fraught with danger: It was a straight shot downhill, on a neighborhood road inexplicably expanded to four lanes and 45 miles per hour. Having made my purchases, I had to ride my 10-speed uphill and one-handed. Finding the issues and titles I wanted was always a problem. So was finding them relatively undamaged. The convenience store's upright "spinner" rack would bend, rip, and chew comics up, even before they were bought. 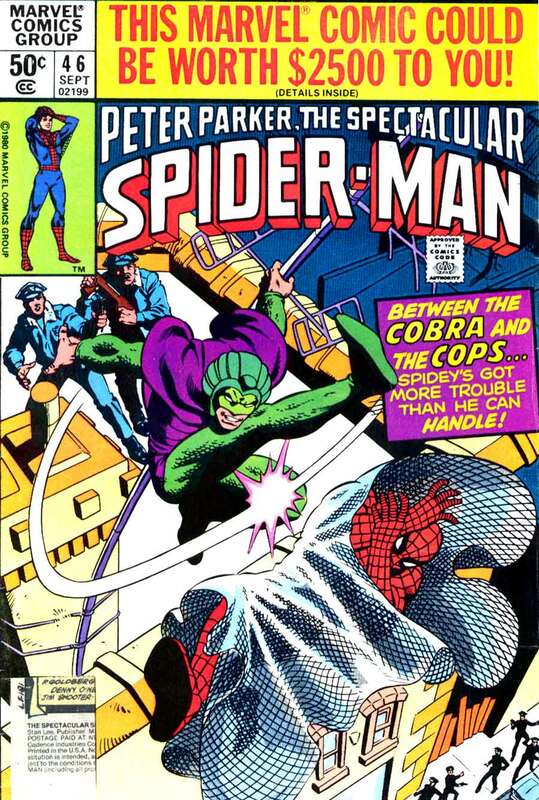 I subscribed to a Spider-Man title once--an act which seemed to require a sacrifice of one comic in order to purchase more: "Cut out this coupon and send it in." I found a photocopier instead, but the U.S. Postal Service mangled more superheroes than the spinner rack ever could. Covers were ripped, or torn off completely. 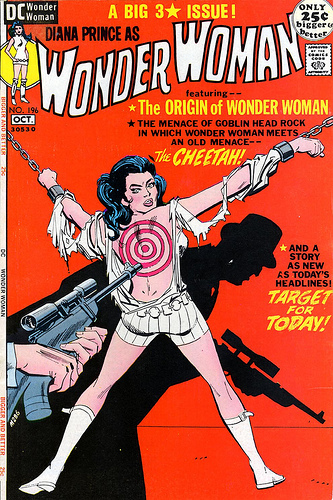 Fast-forward to today: The comics business has changed considerably. Having left the hobby in the early 1980s, I missed out on the comics boom in the 1990s, and then a business implosion. The two big publishers, DC Comics and Marvel Comics, have played so many games regarding how issues are titled, numbered, and written, that there's little continuity between the characters I knew and the characters of today. Issue No. 57 of "Uncanny X-men" may have nothing to do with issue No. 1 (?!) of a new "Uncanny X-men," which launches next month. That disconnect translates into a poor secondary market, too. Old comics don't increase in value if nobody feels the need to read them. The new-release racks are also stacked full of seemingly duplicate titles. How many "Avengers" titles can the market support? There's "Avengers," "New Avengers," "Secret Avengers," "Young Avengers," and "Avengers Arena." How can a consumer tell each title apart? Outside of an toy store, book store, or supermarket newsstands, there are few places to purchase individual comics. (Some collectors call these "floppies.") Serious collectors seek out local comic book retailers, or mail-order in advance through discount distributors. The paper quality has improved considerably from the yellow newsprint I remember, but the price-tag on an individual comic is now $2.99, $3.50, or even $3.99! Do the math: If you want to buy 10 ("Avengers"?) titles a month, that's going to set you back up to $40 plus tax. That's $360 a year! Even at today's prices, that's a lot of gas. Face it, comic books just aren't for kids anymore. 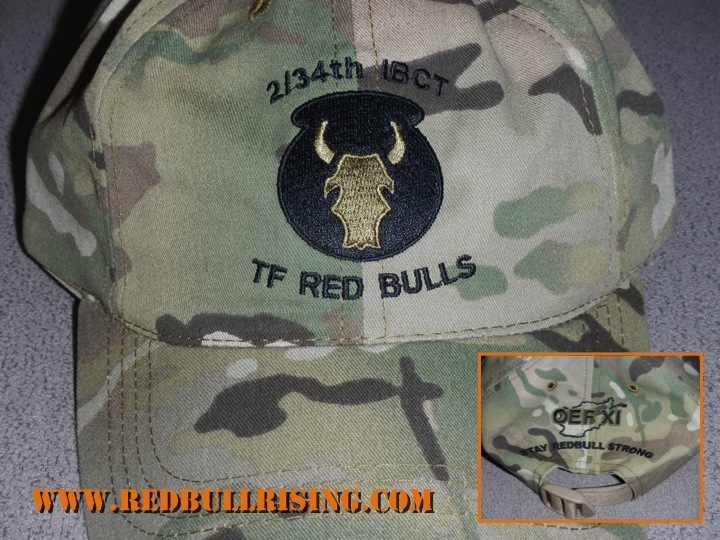 A longtime Red Bull Rising blog reader recently gifted me with a choice piece of Afghaniswag: A MultiCam-pattern baseball-style cap, featuring the shoulder patch worn by the Iowa National Guard's 2nd Brigade Combat Team (B.C.T. ), 34th Infantry "Red Bull" Division (2-34th BCT). 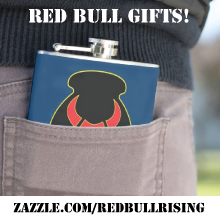 There's also a reference to "Task Force Red Bulls," the organizational nickname by which most of the 3,200 citizen-soldiers who deployed in 2010-2011 were known while in country. Meanwhile, the utility (or lack of utility) of the Army's current Universal Camouflage Pattern (U.C.P.) continues to win hearts, minds, and headlines. Here's hoping that Uncle Sam will come up with something that works as well as MultiCam, and then stick with it. Manufactured by Tactical Tailor of Tacoma, Wash., my new headgear features an outline of Afghanistan on the back, along with a reference to Operation Enduring Freedom XI, and a slogan: "Stay Red Bull Strong." The hats were apparently used as premiums for soldiers who signed re-elistment contracts following the 2010-2011 deployment. "You didn't stay in the Army," my citizen-solider-benefactor told me, "but you did make it to Afghanistan. You deserve a hat!" Coincidentally, when I traveled as civilian media with TF Red Bulls, I wasn't allowed to wear camouflage of any kind. My new favorite ball cap isn't my first piece of MultiCam equipment, however. 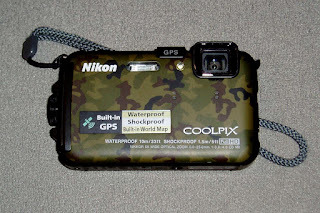 During the 2012 holiday season, my go-to-war point-and-shoot camera bit the proverbial dust. A day later, so did my back-up camera. So, just days before Christmas, I mail-ordered a new one, and had it delivered to my undisclosed location. Less-than-thrilled with the long lag-times and harsh flash I encountered with my previous Olympus-brand equipment, I opted this time for a Nikon COOLPIX AW100 16 MP CMOS Waterproof Digital Camera . Like a good U.S. Army Signal Corps alumnus, I had originally planned to purchase a camera that was colored an easy-to-find blaze-orange . Instead, I found the camouflaged one was available for less money. I shall call it ... "The MultiCam-era!" Given the rugged nature of my new equipment, it will likely survive most any situation I plan to throw at it. One philosophical question remains, however: If a camouflaged, GPS-capable camera gets dropped in a forest, would anyone be able to find it? On a recent dark and stormy afternoon in mil-contracting Cubistan, the electricity started going on the fritz. The few operable overhead lights suddenly flicked out, and everyone's Uninterruptible Power Supplies (U.P.S.) chirped on. Someone yelled: "Save early, save often!" After a couple of minutes, the power came back up. Five minutes later, we ran through the same cycle. Then again. "My dad used to say that the third time the power goes off, it goes off for a long time," another co-worker said, out there in the darkness. Dad turned out to be right. Once again, my cushy stateside office job echoes working in a Tactical Operations Center ("TOC") downrange. The comparison is particularly appropriate, given the number of fellow 34th Infantry "Red Bull" Division veterans with whom I now work daily. The only difference now is, we don't play rock-paper-scissors to see who gets to fuel up the generators. I took the opportunity to take a powder, finding my way using small L.E.D. flashlight I carry in my satchel of tricks. A fellow Red Bull veteran was conducting a similar operation, illuminated in his task using a similar device. "Why is it that only the Army guys bring headlamps to work," one of us asked. Out of the darkness came the disembodied voice of another Red Bull, a current member of 1st Battalion, 194th Field Artillery (1-194th F.A. ): "I only have a knife," he said, "but I'm pretty sure I could use it to get at least two flashlights pretty quick ..."
The Warriors Arts Alliance has published a call for submissions to a second volume of military-themed fiction, non-fiction, poetry, and photography. The non-fiction category includes creative non-fiction, essay, and oral history. Both the anthology and a related contest are open to all military personnel, veterans, and military family members. 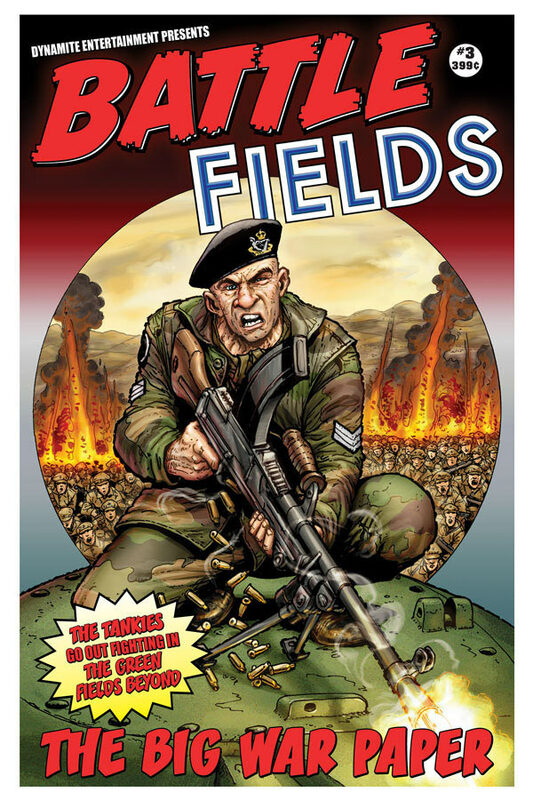 As the group's website states, "This series of anthologies preserves and shares the perspectives of our military and veterans of all conflicts and of their families. It is not only an outlet for artistic expression but also a document of the unique aspects of wartime in our nation’s history." 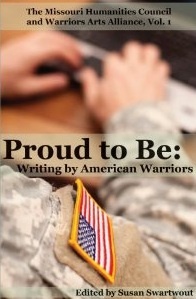 The group's first published work, titled "Proud to Be: Writing from America's Warriors," was published in November 2012. Both volumes are in partnership with the Missouri Humanities Council and Southeast Missouri State University Press. A 5-minute video of a 2012 reading event celebrating the publication of the first volume is available here. Contributors to the first volume will also read at a veterans' recognition reception titled "In Their Own Words" at Southeast Missouri State University Wed., Feb. 13, from 7 to 9 p.m. Monitor the Warriors Arts Alliance's website or Facebook page for forthcoming details. Poetry: up to three poems (Five pages maximum). Photography: up to three good-quality photos. (The book will be published in black and white). Include a biography of no more than 75 words. Writers may submit to the anthology only by mailing both the work and a Self-Addressed Stamped Envelope (S.A.S.E.) 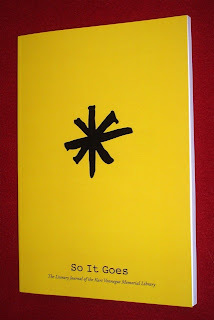 for notification to: Warriors Anthology, Southeast Missouri State University Press, Mail Stop 2650, Cape Girardeau, Mo. 63701. Entries must be submitted as Microsoft Word document (.doc or .docx format). Keep poems in one document (with first poem as title). A $250 first-prize will be awarded in each category. 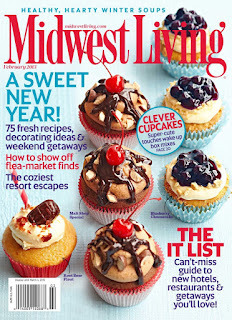 All contest entries will also be considered for publication. Note: This content regarding military writing is underwritten by Victor Ian LLC, a military media and gaming business. 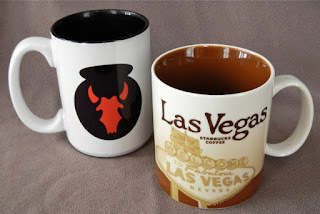 The business publishes Lanterloon, an eclectic lifestyle, technology, and military blog; has a physical retail storefront called "Dragons and Dragoons" located in Colorado Springs, Colo.; and hosts military-writing workshops and other events under the "Sangria Summit" brand name. David Abrams has written a reasonable chronicle of his time as a public affairs soldier in 2005 Iraq, a novel that reads like a scrapbook full of daily indignities and deployment realities. Like all good war stories, some of it might even be true: Hording care packages. Messing around in chemical toilets. Avoiding work and danger and steely gazes at the local Post Exchange. All the while, the rockets-red glare of memoranda exploding overhead, regarding such reality-distorting topics as whether or not bad guys should be officially labelled "insurgents" or "terrorists." No doubt, if you've deployed to Iraq, Afghanistan, or elsewhere, you've heard and seen this all before. It took Abrams, however, to pack 10 pounds of it into the proverbial 5-pound bag. This is labelled as a work of fiction, but Abrams obviously has recycled much of his real-world experiences into his work. The names, no doubt, had to be changed to protect the innocent and the incompetent. Sometimes, you have to burn the truth in order to tell it. 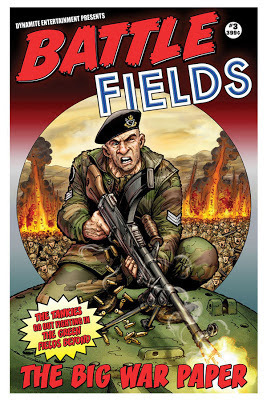 The book takes both title and setting after the American practice of salting foreign soil with Forward Operating Bases ("FOB"). 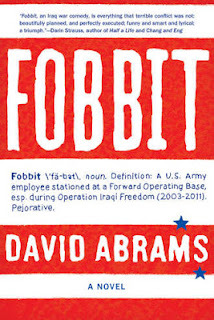 Fobbits are akin to the halflings found in J.R.R. Tolkein's tales, who would much rather surround themselves in the comforts of home, than to seek out glory or adventure. Where hobbits live in holes that feature circular doors, however, Fobbits live in dark, air-conditioned shipping containers and office cubes. They hide away in headquarters buildings, far away from combat, surrounded by e-mail and espresso machines. Veterans of earlier conflicts might use other pejoratives: "REMF," which stands for "Rear Echelon Mother-F'er," is probably the closest analogue. Wars no longer have front lines and rear echelons, course. Instead, we dot the landscapes of other peoples' countries with the tactical equivalents of military suburbs and gated communities. "We has met the Fobbit, and he is us." The narrative weaves together the stories of a handful of do-nothing officers, soldiers, policies, and memoranda. 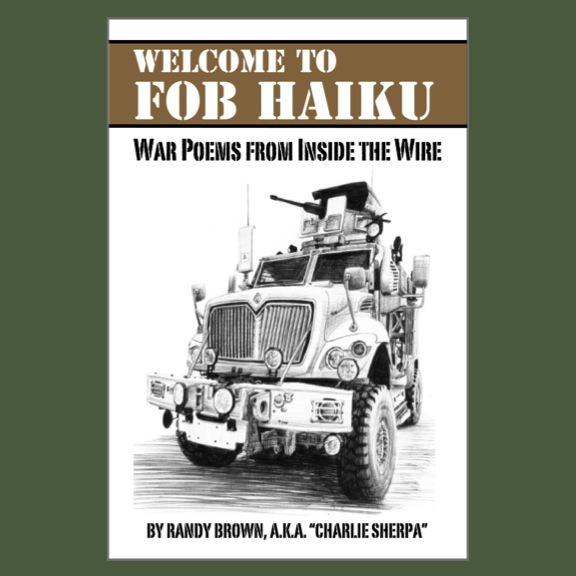 Each chapter brings fresh perspective on the problems festering at FOB Triumph. There is a hardworking staff sergeant, for example, worn down by the grind of rewriting and revising news releases past the point of timeliness and relevance. A ne'er-do-right company commander, who finds himself reassigned to morale-support activities after one too many mishaps in the field. A Sad Sack public affairs officer (P.A.O. ), prone to nosebleeds, whose one moment of greatness is more an act of cover-up than covering the Army story. The pace is deliberate, and builds slowly toward its conclusion. It feels, in short, a bit like a deployment itself: Partly flabby and cloudy, with a chance of Groundhog Day. It is not a perfect work, but it's close enough for government work. Among a few downsides: There are few competent or sympathetic characters in Abrams' universe, and only one of these is an officer. 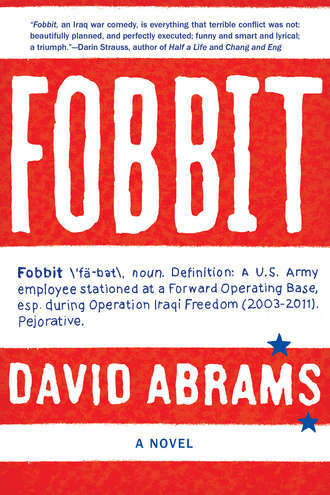 In 'Fobbit,' the NCO is not only the backbone of the Army, he is the center of it. Also, there are occasional terminological tripwires that might distract readers familiar with military lingo or protocol. One example: A character refers to another's "Classified clearance." This is an incorrect term. A soldier might say "security clearance," or "Secret clearance." Instead, the line lands like a dud. The overarching themes, on the other hand, land with great effect. If anything, Abrams might have pushed the envelope a little further. By aiming center-mass and being so matter-of-fact, he runs the risk that some readers might come to regard his words as straight reportage, rather than as satire. By the end, however, he hits his targets—lobbing mortar shells of absurdity into his narrative—and achieves a certain level of laugh-out-loud hilarity. One merely wishes that he would have delivered more such gut-clenching guffaws, along with the chuckles of recognition he already supplies in abundance. Bottom line: Abrams may not have fully captured the insanity of war, but he has done an admirable job of capturing the inanity of it. This should be required reading for every self-respecting (-loathing?) TOC-rat, Fobbit, and headquarters soldier. And those who love them. Disclosure: The Red Bull Rising blog received a review copy of this book. Sometimes, attending a conference or a trade show is pays for itself with just one chance meeting or epiphany. This one, from last week's mil-blogging track New Media Expo, starts out sounding like the beginning a bad joke: "A journalist, a satirist, and one-man truth-squad walk into a room ..."
I had this mug-shot taken in Vegas. At first, there seemed to be few similarities, beyond the fact that each of us is a U.S. military veteran. Szoldra's biting social commentary is raw, timely, and gut-punchingly funny. ("First Sergeant Gives 72-hour-long Weekend Liberty Brief," is a recent example.) Seavey's targeting of "Stolen Valor" offenders is passionate, articulate, and grounded in his law-degree training. Me? 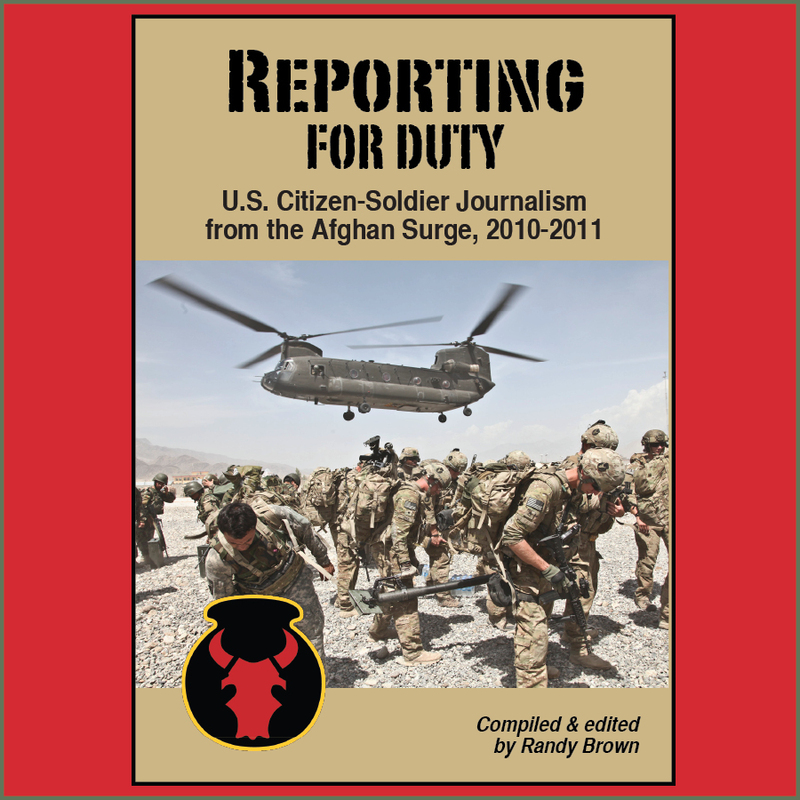 I started my own blog-journey as a storytelling citizen-soldier, and ended up with my return to my journalistic roots. These days, I write as much to encourage others to record their stories, as I do to relate my own. During our collective hour in the spotlight, however, I came to this realization: Each of us is engaging, in different ways and forms, in an effort to make sense of a post-OIF/OEF narrative. I'm old enough to remember the 1970s and 1980s, when people were still arguing over What the Vietnam War Meant. Heck, people are still discussing it, along with similar conversations about the Cold War and Operation Desert Storm. "Everybody knows why they go to war, but no one is quite sure why they went." Exploring, examining, arguing, and documenting what it means to have engaged in this "Global War of Terror" seems just as important as what the first generation of mil-blogs set to do: Report first-person narrative from the front lines, in a manner less filtered than that of traditional forms of media. Anecdotally, of course, there seems to have been a recent renaissance in writers who are continuing to do just that. You'll find some of them recently added to the Red Bull Rising blog-roll: James L. Gibson is one. Afghan Battle Fox is another. Different stories, different times, different tactics, different voices. But always "one team, one fight." 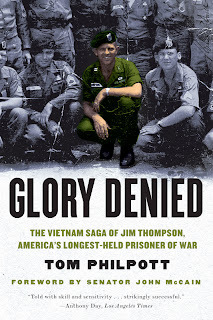 When military reporter Tom Philpott first encountered the tragic story of an Army family that lost its way during the wartime capitivity of its patriarch, Floyd James "Jim" Thompson, he could hardly have predicted the journey would include more than a decade of reporting; publishing his work not as journalism, but as oral history; and, most recently, as an opera next slated for performance in Fort Worth, Texas, in April and May 2013. Thompson, the longest-held U.S. Prisoner of War (P.O.W.) in American history, spent 9 years in North Vietnamese captivity. The first five were in solitary confinement. He attempted to escape five times. He came home in 1973. "He dreamed in his mind of building this dream house when he got home. It turns out that his wife was living for eight or nine years with another man, who was posing as the father of the children," says Philpott. "The boy, who was the only boy of four children, born the day after he was shot down, was called in at 9-years-old and told, 'This is not your dad. Here's a picture of your dad. He's coming home.'" Then a reporter for the Army Times, Philpott first wrote a magazine-length article about Thompson in 1986. Thompson had suffered a stroke in 1980, and was living alone in Key West, Fla. To get past his expressive aphasia, Thompson played for Philpott a tape recording of a local media interview he'd given after his return. Philpott ended up interviewing more than 150 people to further flesh out the story. "I didn't want to just tell his story," he says. "I wanted to tell about the impact of his captivity was on his whole family." The book-length oral history was published in 2001, with each friend's and family-member's recollections presented in their own words. Inspired in format by a 1982 book titled "Edie: American Girl," which relates from multiple perspectives the story of one of Andy Warhol's constellation of personalities, Philpott's book reads much like the script of a play. Or, as it turns out, a libretto. "I had tape-recorded everything," says Philpott. "When I was writing the book, I found that the voices were so powerful and poignant and truthful—and the story was so unbelievable—I thought that if I wrote it as a single-narrator, people just wouldn't believe it. It would lose the poignancy of what they were telling me." 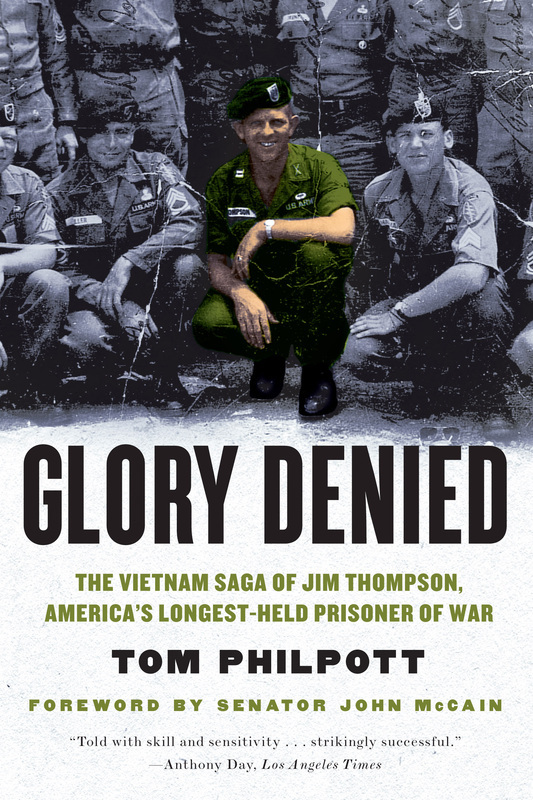 Following the publication of "Glory Denied: The Vietnam Saga of Jim Thompson, America's Longest-Held Prisoner of War" as a book, composer Tom Cipullo contacted the author regarding the possibility of presenting the narrative as an opera. While in development, portions of the 2006 work were presented by the New York City Opera at an annual festival. The Brooklyn College Opera Theater put it on. Then, the Chelsea Opera Company "got some really beautiful talent behind it," says Philpott. "That attracted review in the New York Times." The work was subsequently performed by Urban Arias, Arlington, Va. Presented in two acts, the 78-minute opera is written for two sopranos, a tenor, a baritone, and a small orchestra. The males respectively play the younger and older versions of Jim Thompson, while the females depict the younger and older incarnations of his wife, Alyce. Reviewers note the opera's interwoven narratives, brute-force emotions, and a modernist angularity that isn't afraid to occasionally carry a tune. "It was only in the Arlington performance that I heard the entire libretto—the instrumentation didn't overwhelm it for the first time," says Philpott. "I could understand everything that was said. [Cipullo's] choices were all from the book—he had used all these oral histories, the words from these people, who had said them to each other. It was masterful." Philpott credits the opera with reawakening interest in his book, which was re-released as a trade paperback in 2012. He is currently a syndicated newspaper columnist on military topics. Thompson died of a heart attack in 2002. He was 69. 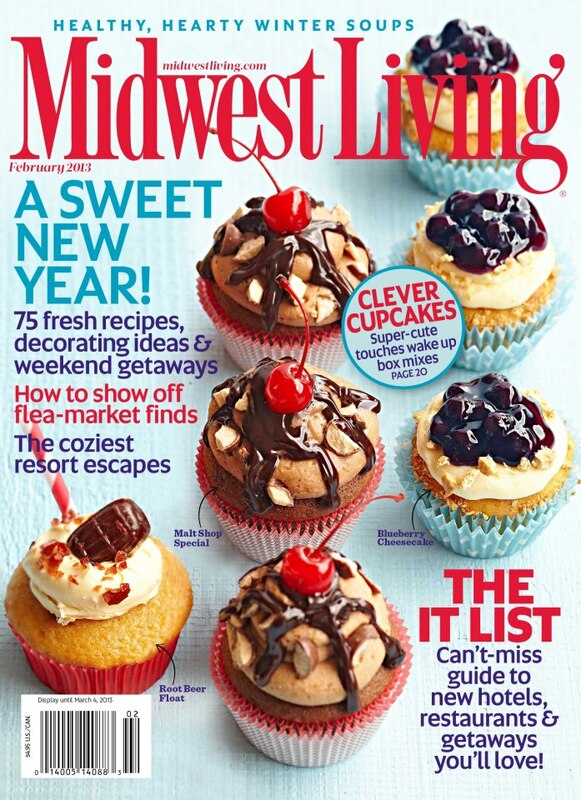 Last summer, a brief Midwest Living magazine article regarding 12 deployed Tactical Explosives Detection Dogs ("TEDD") and their handlers got tails wagging, pens flowing, and people talking. In the current January/February 2013 issue, Editor-in-Chief Greg Philby reports how hundreds of his magazine's readers (and many of their dogs) expressed sentiments of patriotism, thanks, and support for the 2,800 Ohio and Michigan National Guard soldiers of the 37th Infantry "Buckeye" Brigade Combat Team (B.C.T.). The unit was then-deployed to Afghanistan and elsewhere. "We received more than 400 letters from schoolchildren, veterans, families all across the Midwest and even from family pets," he says in the narration of a companion video, which the magazine produced as a thank-you to those who participated. "All of them share the appreciation of those who serve, the special bond between us and our pets, and the sense of pulling together that truly shows the heart of the Heartland." "Dear warriors: As a Vietnam vet, I am familiar with the capabilities and even comforting presence of working dogs," wrote James, from Leawood, Kan. "I just wish the dogs and their humans all the best to be safe and to save lives." "As the owner of a therapy dog, I totally understand how dogs can do things people cannot," wrote Nancy and her therapy dog Quincy, from Eagle River, Wis. "I'm certain the bond you've forged with your canine is much more than just a working relationship. I pray you return safely." The 37th BCT has since returned from deployment, and the magazine has arranged for the Ohio National Guard historian to archive the letters. Properly caffeinated and motivated, I'll be on a panel with fellow veterans and writers Paul Szoldra (founder of the satirical "The Duffel Blog"), and Mark Seavey ("This Ain't Hell" and The American Legion's "Burn Pit" blogs). Moderator and fellow mil-writer Ward Carroll says we'll have 60 minutes to collectively solve all the world's problems. Of course, if we have to use MDMP, we won't even get past terrain analysis. Given the participants, I'm sure it'll be idea-packed, free-wheeling, and even loose-cannoned. To help get my head in the game, I put together this patchwork of possible talking points. Some are old, some are new. I thought I'd share them as sort of a preview. Let me know what you think! Mil-blogging, like homecoming, is a journey. Not a destination. I started writing the Red Bull Rising blog in December 2009, when it looked like I was going to deploy to Afghanistan. My military job involved, among other duties, advising the commander on social media technology and techniques. I started writing under a pseudonym because, at the time, Army policy on social media was so fuzzy. There's nothing like learning by doing, even if you're doing it in secret. I've met a lot a great people, seen some impressive things, learned some quirky skills. In addition to my freelance writing and editing, for example, I've recently taken on a day-job writing online military stuff for the military. Every day, I'm glad I know how to spell "HTML." 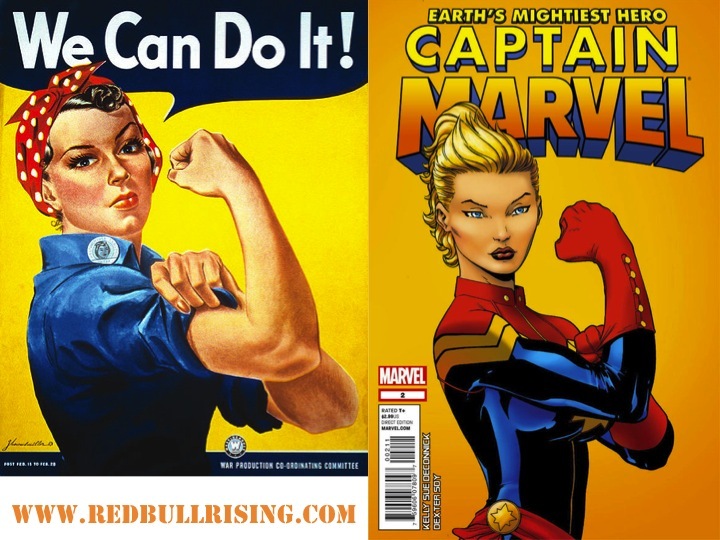 "Mil-blogging Tips, Tools, and Tactics, Part I"
"Mil-blogging Tips, Tools, and Tactics, Part II"
"Lessons-Learned After a Year of Mil-blogging"
Some Red Bull Rising sponsors have helped expand that discussion to "writing about military writing." A blog, after all, is an engine that can generate news, views, and fictions. You can use a blog to capture the spirit of your times. You can hone a thesis or body of work through a thousand daily mistakes. You can present a truth as you have come to know it. In short, it's journalism. Both the poetry and the prattle. "A first draft of history." My newspaper and magazine buddies still make jokes about how all bloggers must write while wearing pajamas. I'm just glad they think I'm wearing pants. I knew I was training to be a dinosaur when I majored in newspaper journalism back in the late 1980s. I just didn't think I'd live long enough to see the asteroid hit. Being able write anything you want doesn't mean you should. From the Merriam-Webster's definition of "journalist:"
"A person engaged in journalism; especially a writer or editor for a news medium"
"A writer who aims at a mass audience"
"A person who keeps a journal"
Bloggers: First, do no harm. Then, be humble. Be grateful. Make sure it's not all about you. Make it about your words. And your work. And what your words and work can do in the world. Pay it forward, but give thanks along the way. Red Bull Rising wouldn't be where it is today without a thousand kindnesses from these and many others: Milblogging.com; Military Writers & Reporters Association; Garry Trudeau's/Doonesbury's "The Sandbox"; Tom Ricks' "The Best Defense"; Carl Prine's (now off-line) "Line of Departure"; Kanani Fong; Kentucky Woman; Jeff Courter ; Ben Tupper ; Travis Martin ; Deb Marshall and Susan Swartwout; Victor Ian LLC; The Red Earth MFA program at Oklahoma City University. Archer took a different duty assignment in the Iowa Army National Guard after he got home from Afghanistan, and I finally got a chance to visit him in his new digs last month. 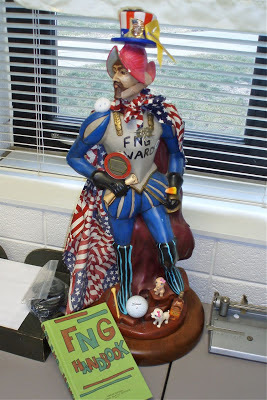 On his desk was one Jim Dandy of a display, a frilly Conquistador of Love. Apparently, it's a major award! "It's the Fanoogie," he explained, all proud and sheepish at the same time. "I thought I was going to pass it off to a sergeant major at the last meeting, but he didn't show." That's probably a good thing, because the Fanoogie Award notably lacks a Reflective Safety Belt. No doubt the good sergeant major can correct the discrepancy, once the statue changes hands. Every person to whom it is presented adds an individual piece of flair. Each recipient adds his or her name to the F.N.G. log book. "Fanoogie"? That's how the unit pronounces the acronym for "F'ing New Guy." Or, if you prefer the family-friendly version: "Foolish New Grunt."